I don’t understand crustless quiche. I can’t even begin to pretend to understand crustless quiche. Then again, I come from a family where it’s perfectly normal to take out quiche or pie leftovers and find that someone has eaten all the edges of the crust off. And that someone was usually me. But, really, can you blame me? That’s the best part!! And I needed to get to it before someone else did. Obviously. 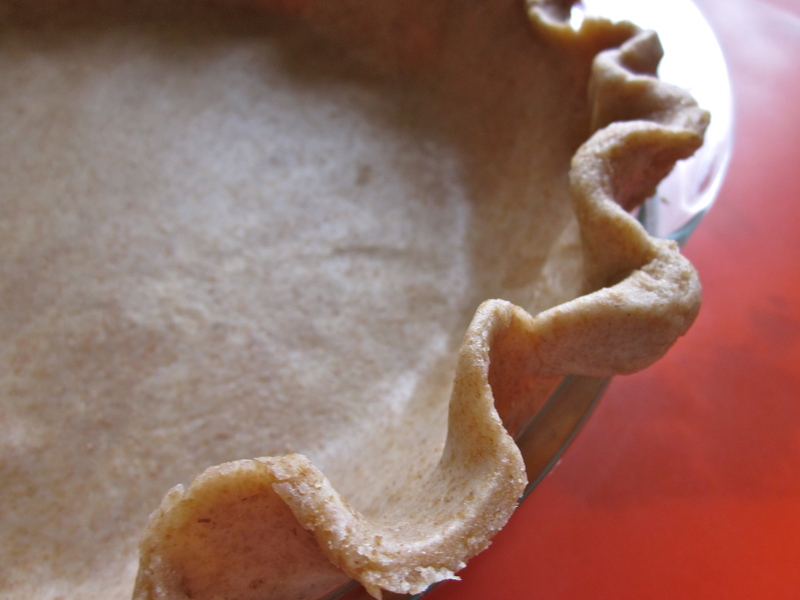 The recipe for this crust comes from a cookbook my mom has had for years. You can tell how loved it is just by looking at it, and as with any well-loved cookbook, you can clearly see which recipes are the favorites because it just seems to open to those pages. 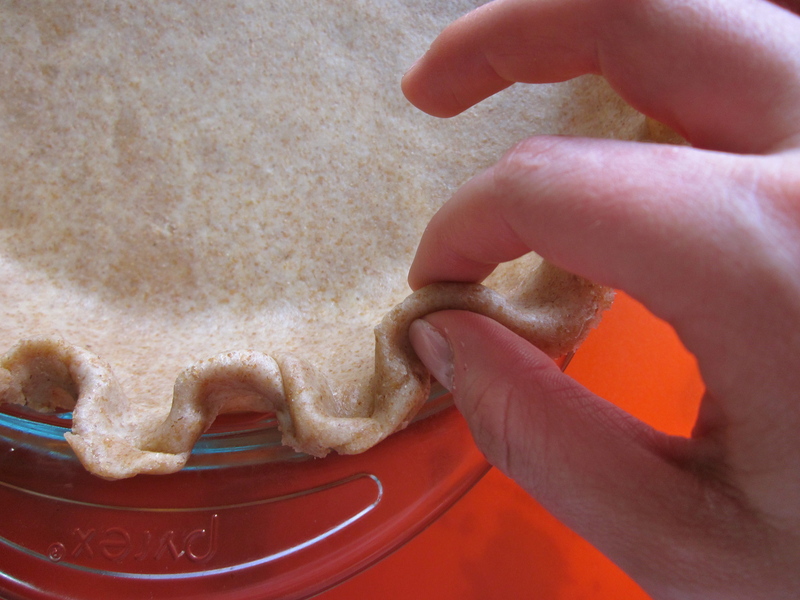 And it’s called “The Perfect Pastry Shell,” so really, how could this not be a favorite? 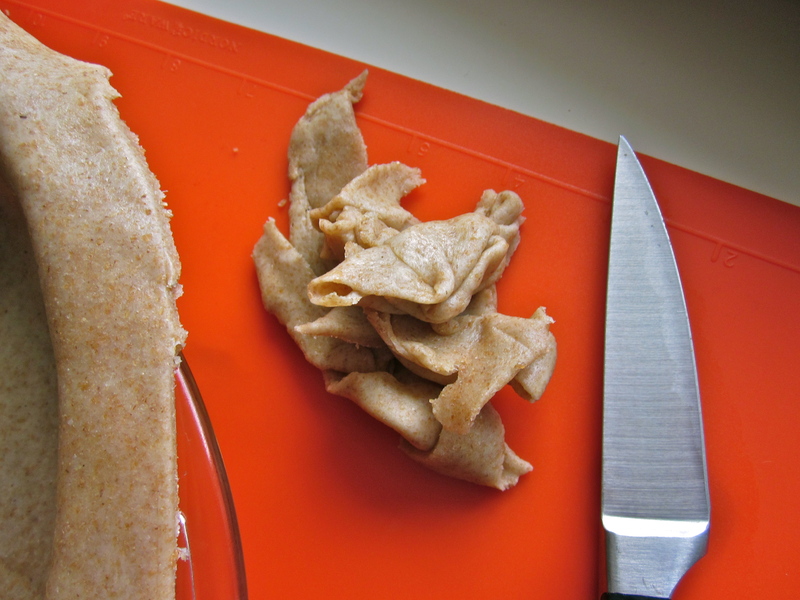 I distinctly remember sneaking hunks of the dough out of the fridge to snack on when I was younger. Back when my mom ran her own catering company, I used to help her flute the edges of the crust. 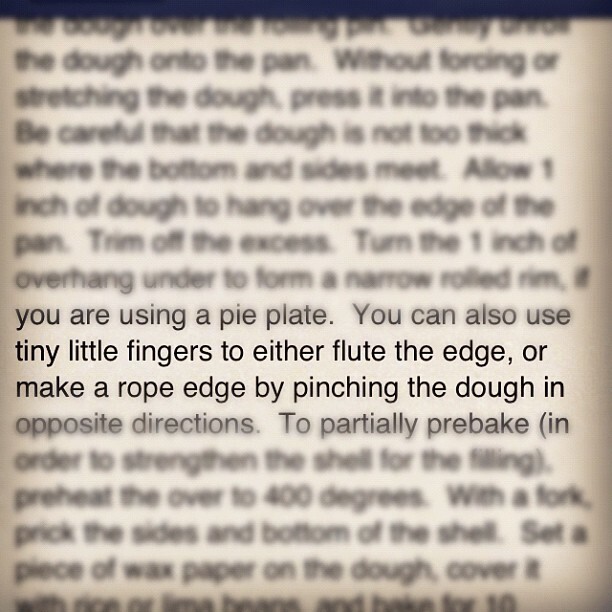 And now I’m doomed to hear about how my “tiny fingers” are perfect for fluting pie crust for the rest of my life. See, she couldn’t even email me the recipe without mentioning it. I neglected to include it when I copied it down, however. Pity. 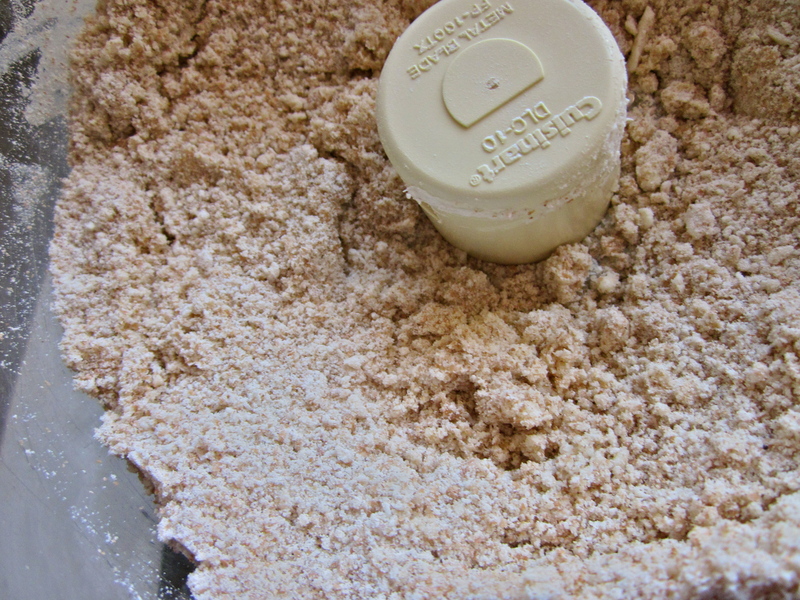 Add flour, butter, shortening and salt to a Cuisanart and pulse until texture of coarse meal. 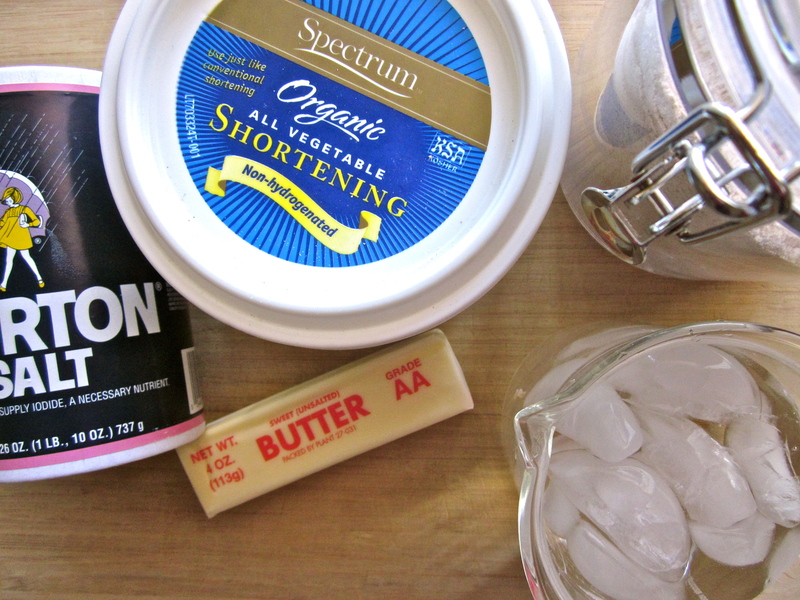 Add ice water and mix until a ball forms. 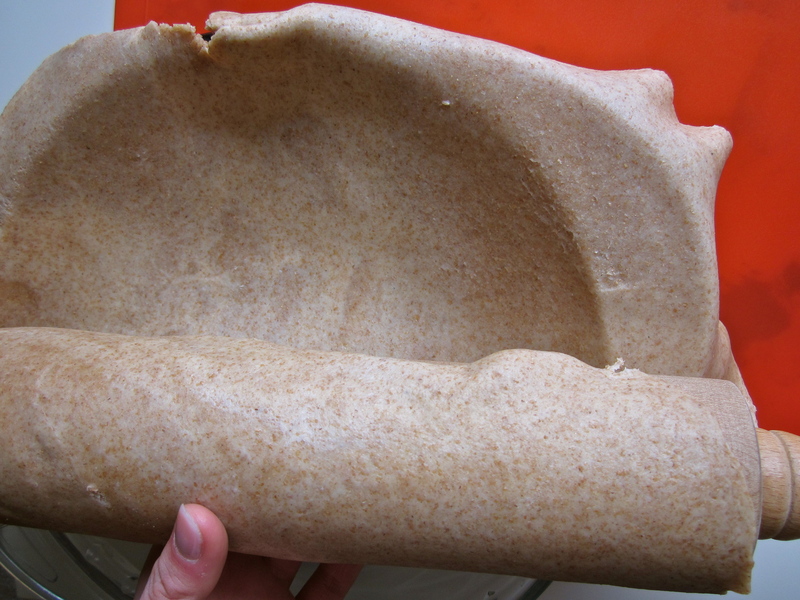 Flatten into a 8-inch round circle, wrap in wax paper or plastic wrap and refrigerate for 30 minutes. 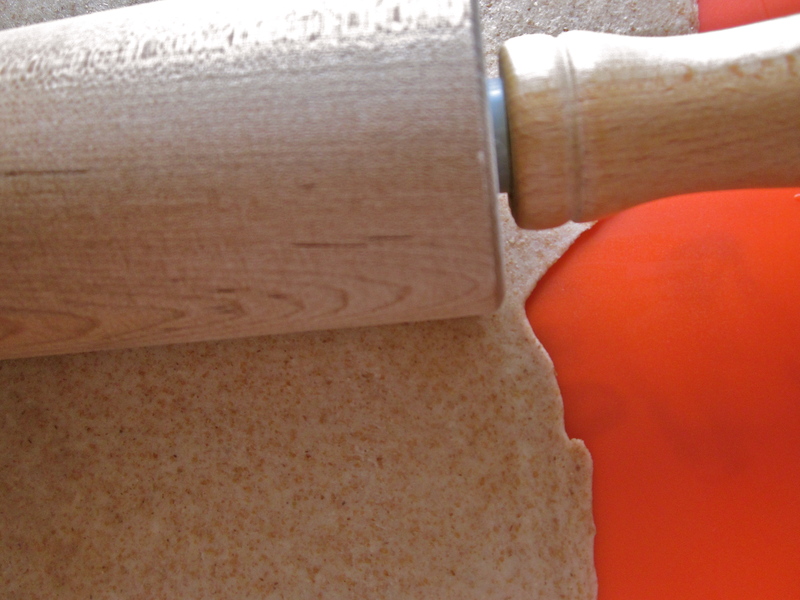 Roll out on a heavily floured surface, roll over the rolling pin and unroll in a pie dish. 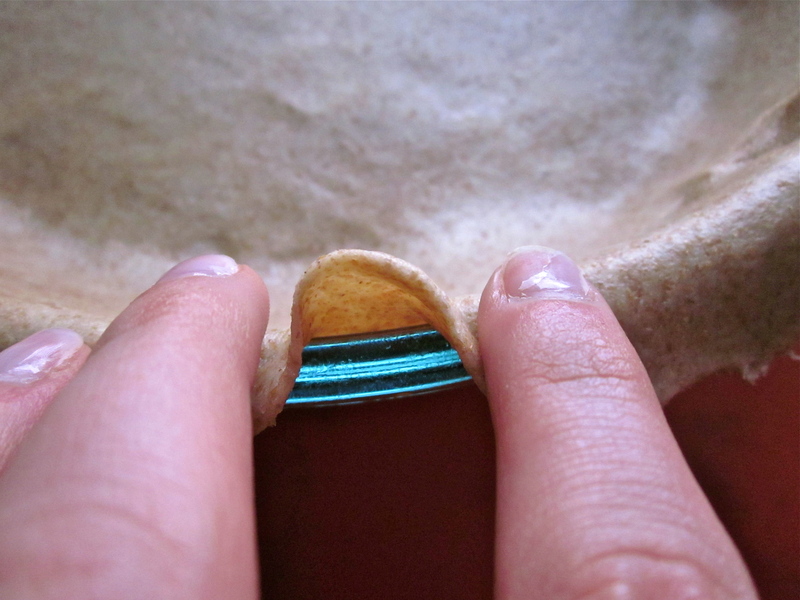 Gently press into pan and flute edges, if desired. And you’re going to desire. 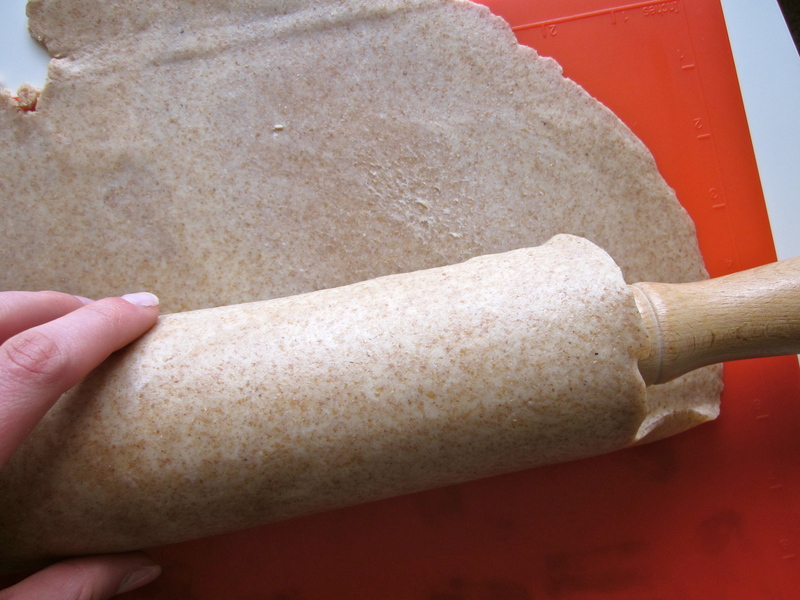 I like to cut off the excess dough. For snacking purposes, of course. Then flute away, my friends. Put your pointer and middle fingers down on the edge. Please don’t look at my shellac manicure that lasted all of a week. I’m not happy about it. Pinch between your pointer and middle fingers with the thumb and pointer finger of the other hand. Realistically, both of my hands should be in the picture, but you try fluting and taking pictures with one hand. And wanna know the best part about quiche? But after that, it’s the fact that you can use just about anything you want in there. Versatility is key. Last week I made a broccoli, mozzarella, pesto quiche, this week I made a mushroom, spinach, sun dried tomato, goat cheese quiche. They were both equally delicious. This looks awesome, Tiny Fingers! 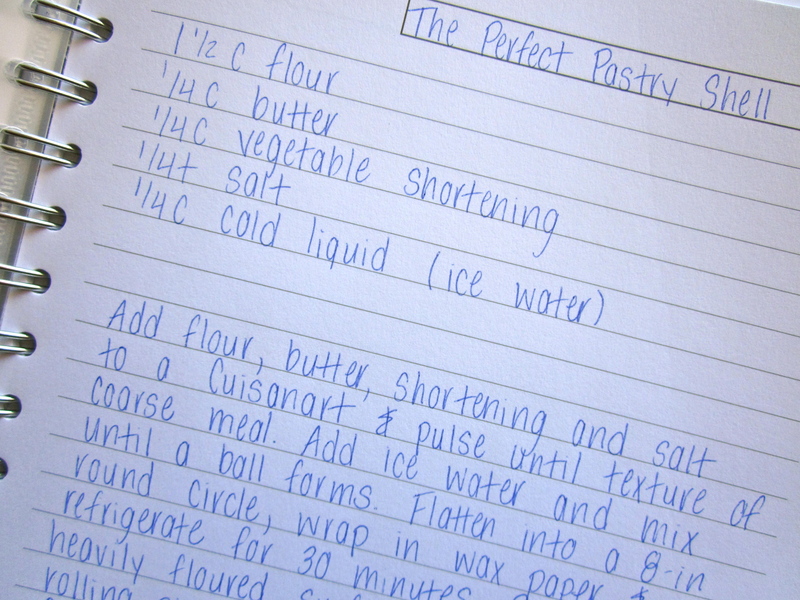 😉 A good crust recipe is a must-have! 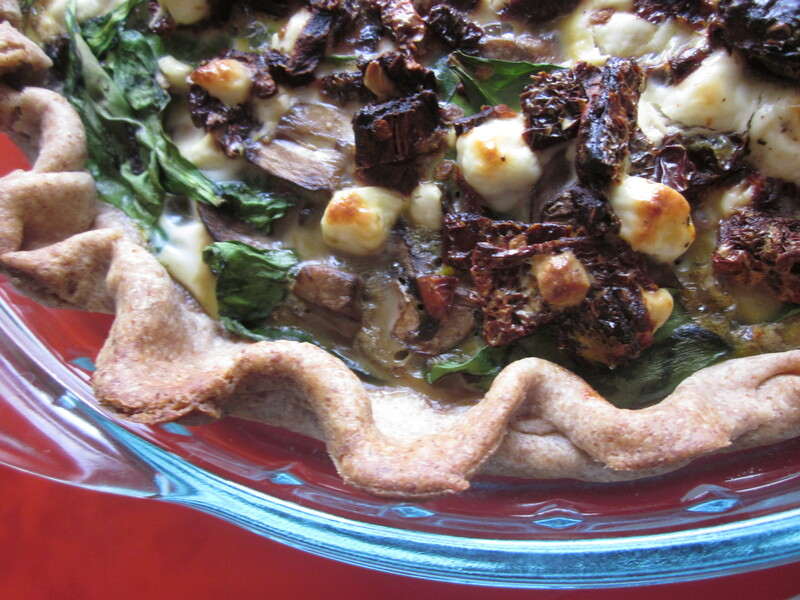 It’s been way too long since I enjoyed a nice crusty quiche…I’m starring this! 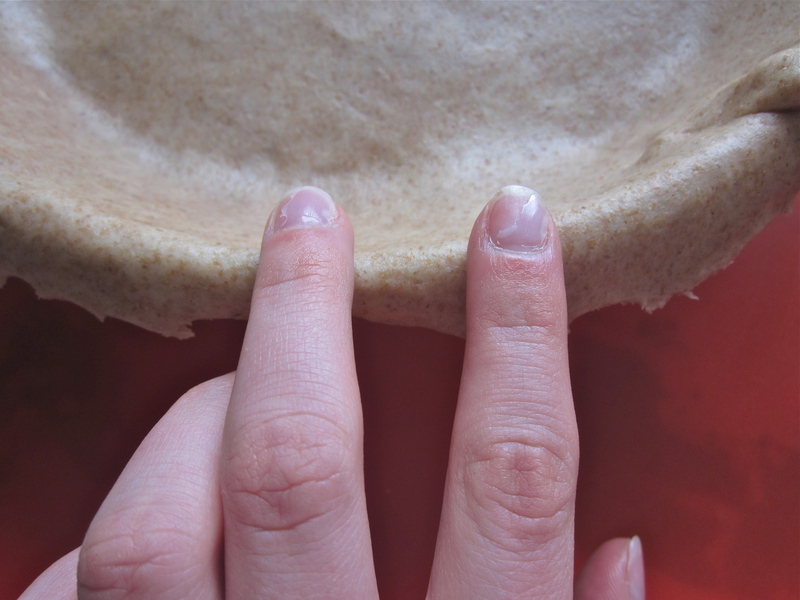 that crust sure does look perfect to me! and i 100% agree with your thoughts on a crustless quiche. wtf? isn’t that why i love quiche so much in the first place? the crust makes it. hands, freakin’ down. oooh, i’ve made red velvet, green is a great idea for patty’s day! your pictures are beautiful. 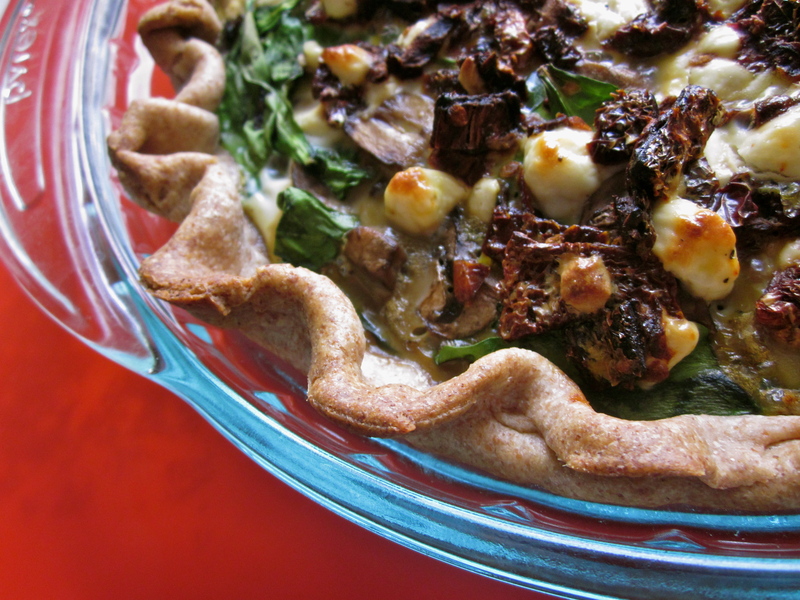 Don’t hate me, but I’ve never actually made a crusted quiche before…it just seems to inviting to skip that step and get on to the filling, but I have to say you about have me convinced to crust it up next time I make one! And sun-dried tomatoes and goat cheese? Holy yum!